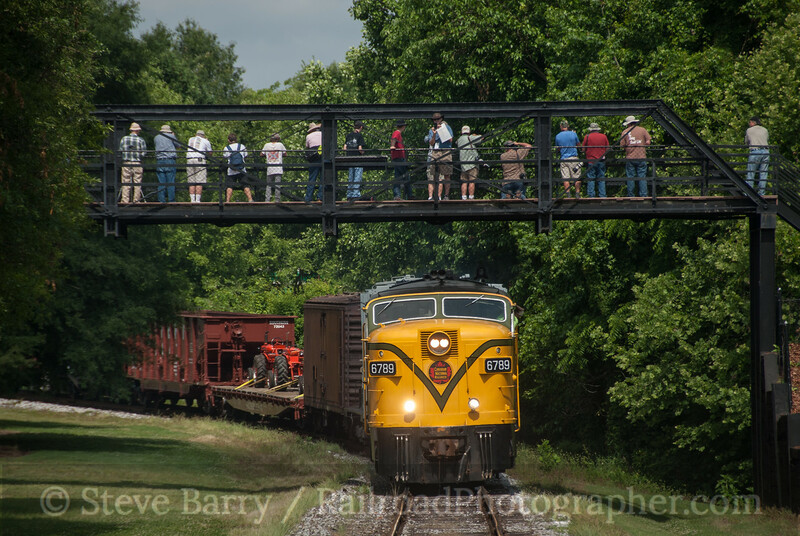 The 2014 Convention of the National Railway Historical Society was based out of Springdale, Ark., in early June, with most of the activity centered on the Arkansas & Missouri Railroad. Trips covered almost every inch of the line, but perhaps the most impressive was the afternoon trip on the convention's first day, June 10. 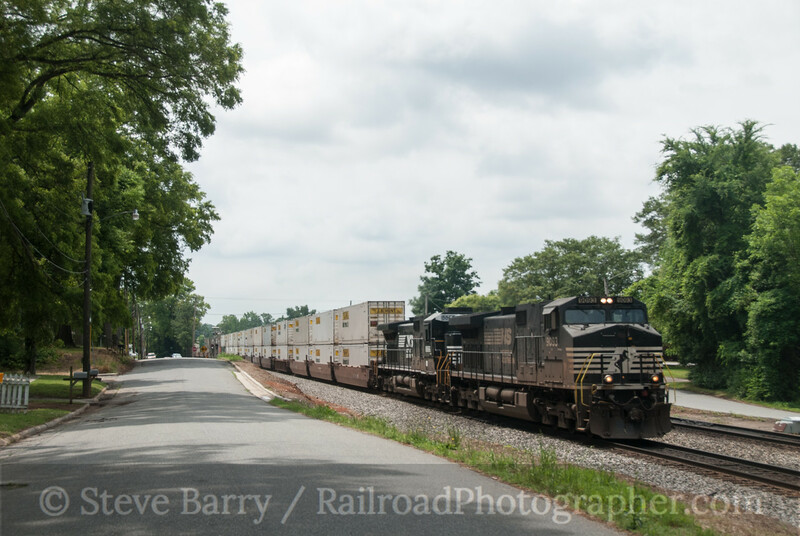 Two of the A&M's diesels built by the American Locomotive Company led a mixed freight/passenger train south from Springdale, with several photo stops made in the scenic heart of the railroad between Winslow and Mountainburg. 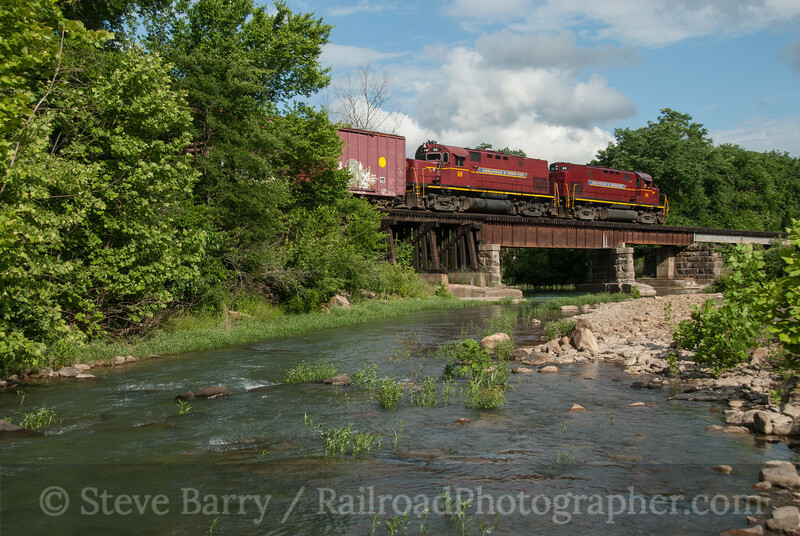 The trips were planned by NRHS rail operations coordinator Bart Jennings, who really picked some good locations. Your writer assisted in keeping the photo lines organized. Despite a day that was 95 percent cloudy, most of the photo stops had the sun pop out at just the right time to make for some well-lit scenes. The first stop of the trip was at Winslow Tunnel just south of its namesake town. Alco No. 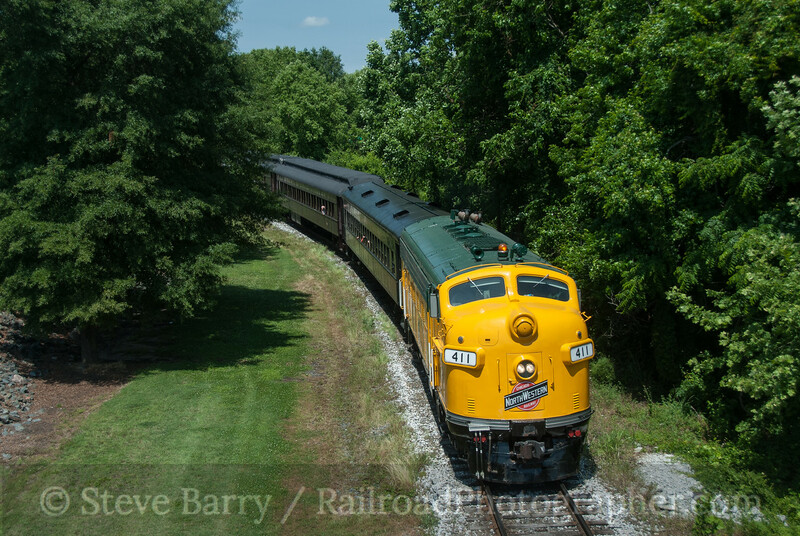 44 led the train, a C420 built in May 1965 for the Louisville & Nashville Railroad. 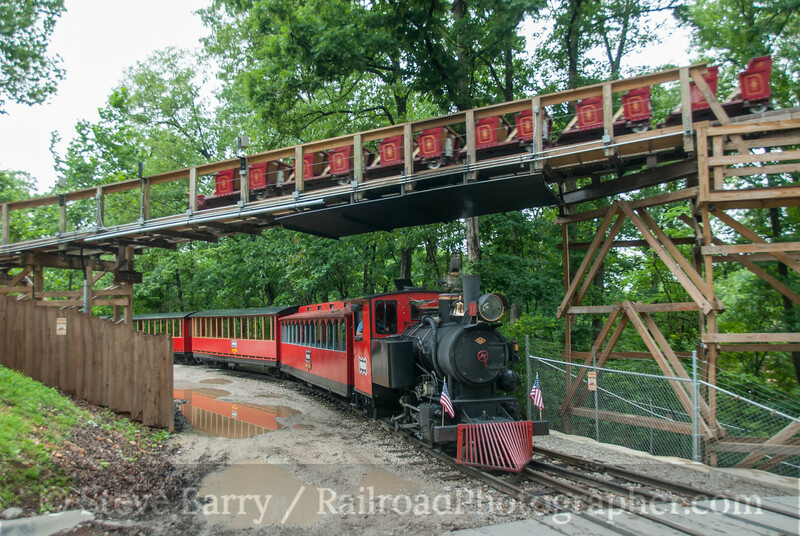 The train was spotted in three different locations to give different perspectives of the train and tunnel (below). The second photo stop was at the first of three large bridges below Winslow. The sun came out nicely for this shot (top photo). 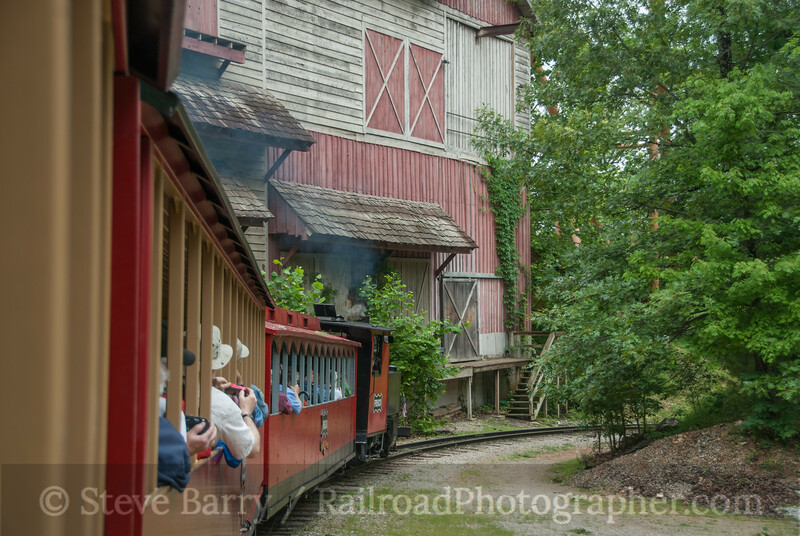 As the passengers were reboarding the train, the clouds moved in and a slight drizzle started. By the time the train was moving, it was a full-blown gully washer. 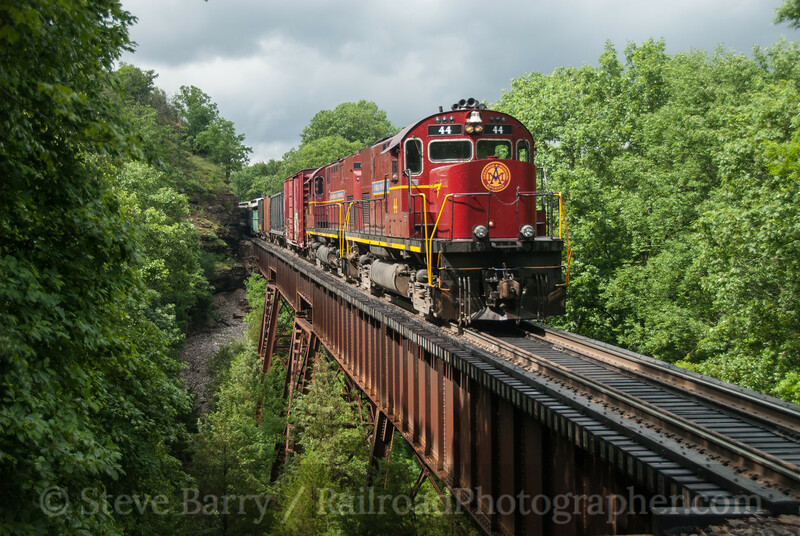 But as the train slowed for the next photo stop, at the second large bridge, the rain slowed to a drizzle. 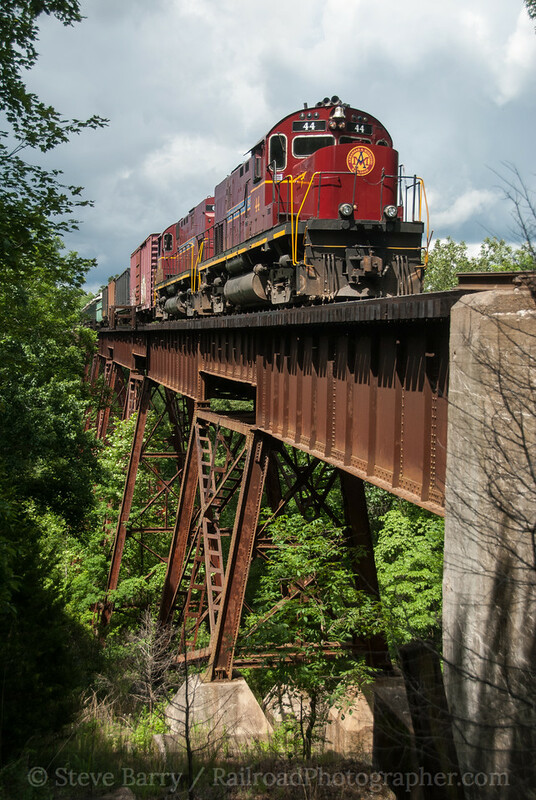 It stopped as passengers unloaded and by the time the train was backed into position on the bridge the sun was back out again. All the photo stops up to this point had been just that -- stops for still photography. But with videographers on board, there was a need to do a full-blown runby with the train moving. This was accomplished at the location known as Schaberg, north of Chester. The first runby was zoinked by a cloud, but with plenty of time in the schedule a second runby was held in nice sunlight. Not done with bridges yet, another stop was made at a lower bridge north of Chester. This was a "going away" view that allowed trailing unit No. 68 to be seen better. No. 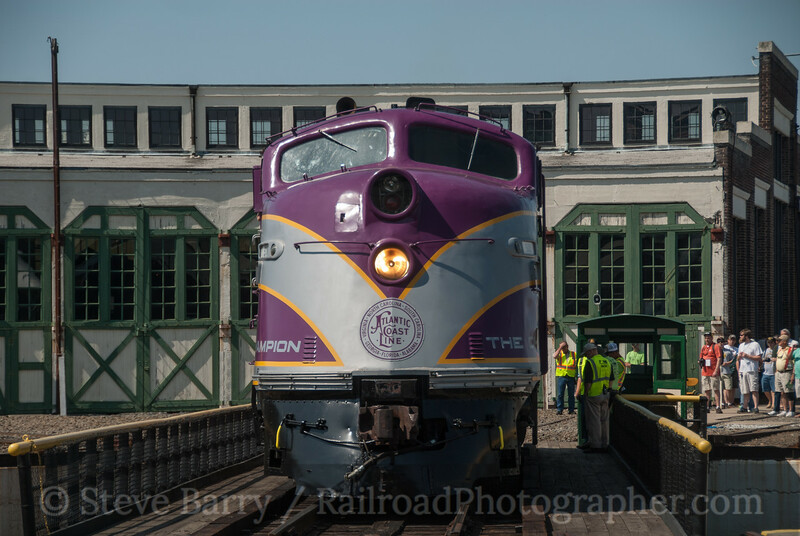 68 is a C420 built in November 1964 for the Lehigh Valley. After the stop, the train was backed up for yet another video runby. 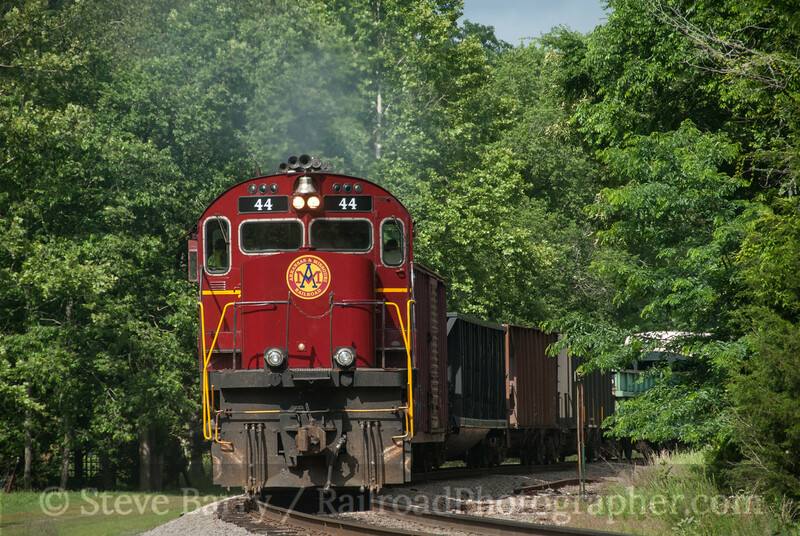 The train continued on to Mountainburg where some passengers were dropped off and others added for the return trip. The train pushed back to Chester, where the locomotives ran around the consist so No. 68 could lead north. 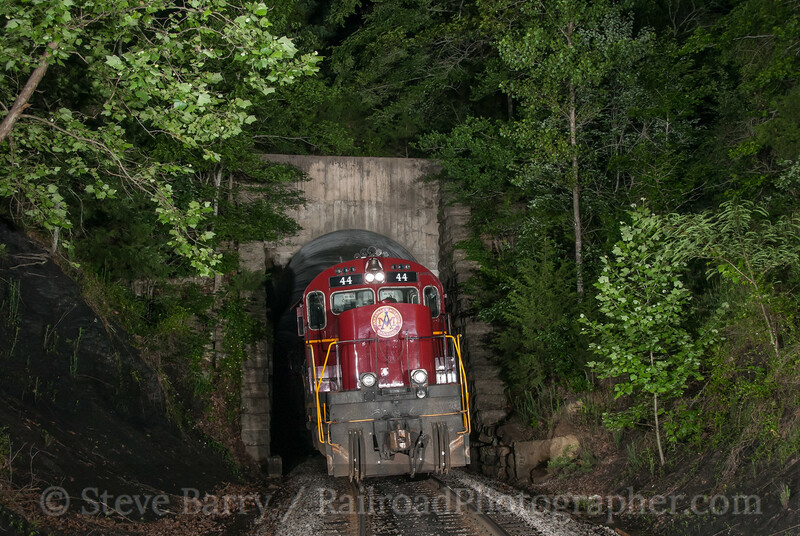 With darkness falling, a night photo opportunity was held at Winslow Tunnel with No. 44 poking out of the south portal. 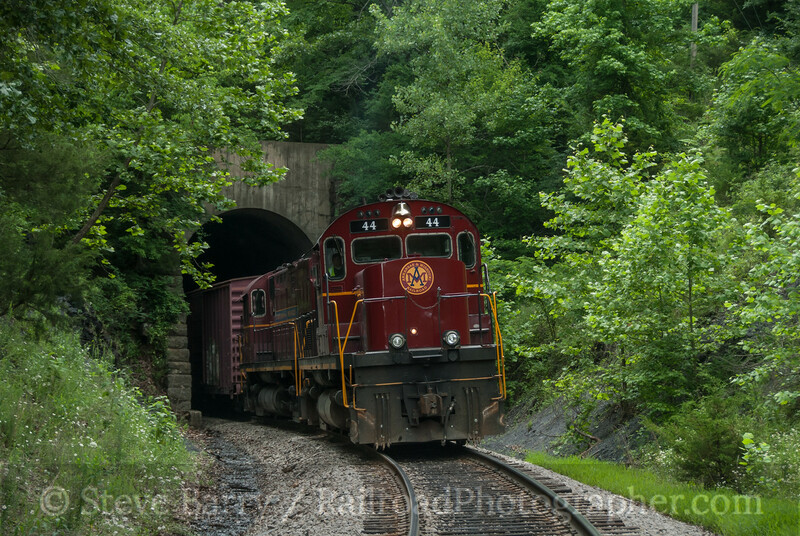 The train then proceeded through the tunnel, with the final stop of the day just north of the north portal in Winslow. No. 68 posed next to a retaining wall for the final scene. From here, all the passengers were put on a bus for the return to Springdale. Thanks to the folks at NRHS and the A&M for making this trip possible. 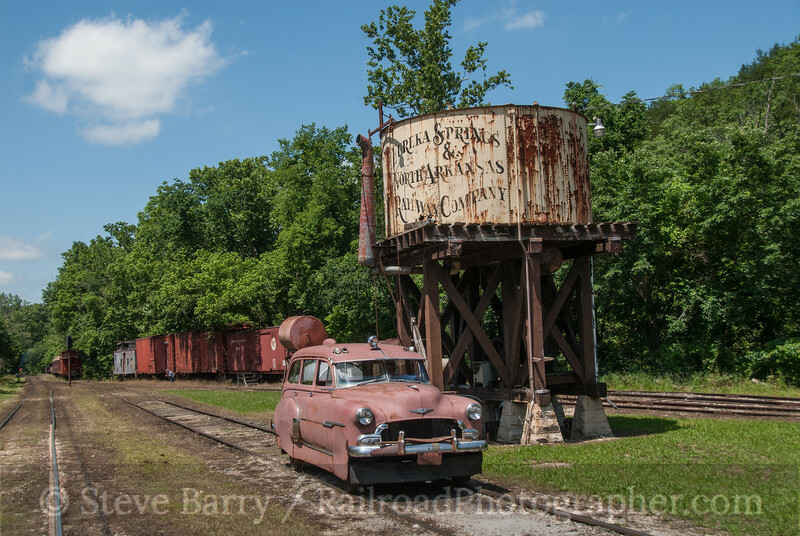 It was a great chance to capture scenes that are well off the beaten path. More photos from the trip can be found here. 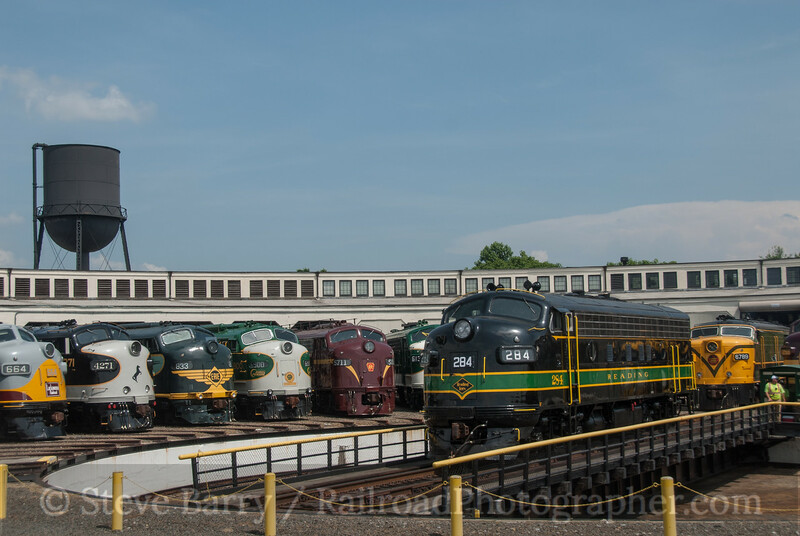 At the end of May one the biggest rail enthusiast events of the year took place; Streamliners At Spencer brought together one of the largest gathering of 1940s-1960s "cab units" built by the Electro-Motive Division of General Motors (EMD) and the American Locomotive Company (Alco) for one colorful show. 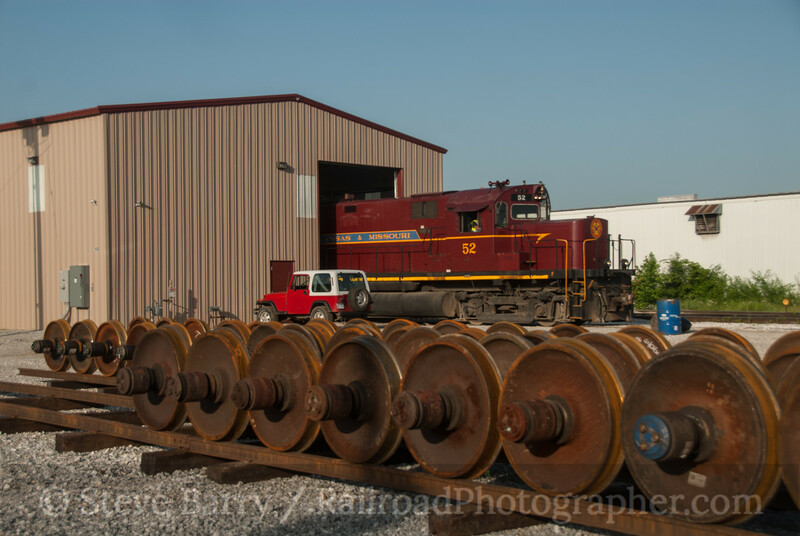 We'll take a day-by-day look at the event, starting with Thursday, May 29, as the locomotives began to gather around the turntable at the North Carolina Transportation Museum in Spencer. Reading F7 No. 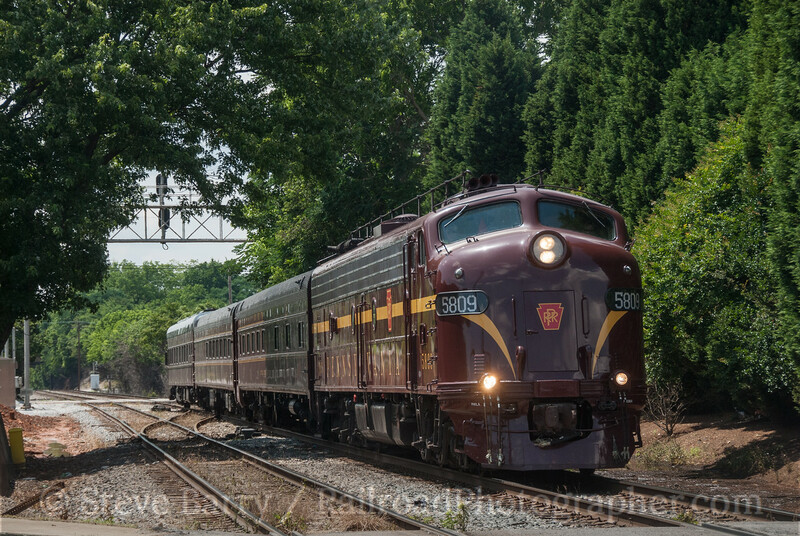 284 came from the United Railroad Historical Society of New Jersey (above). 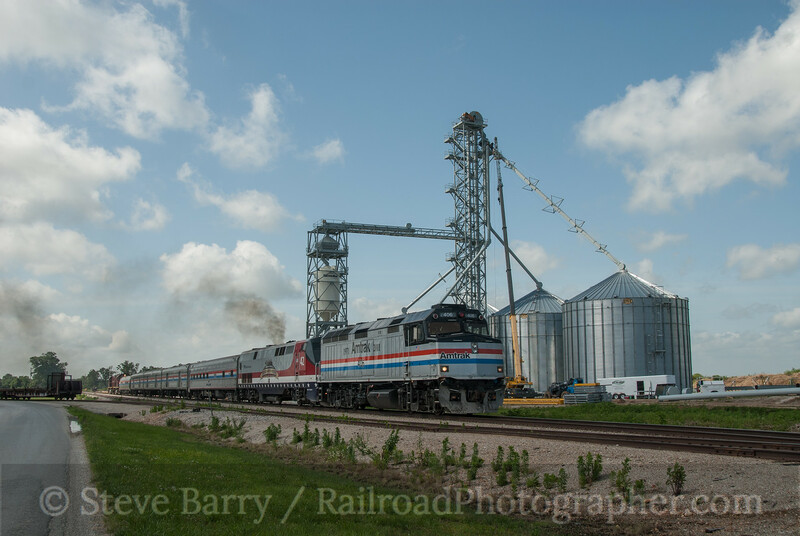 Iowa Pacific E8 No. 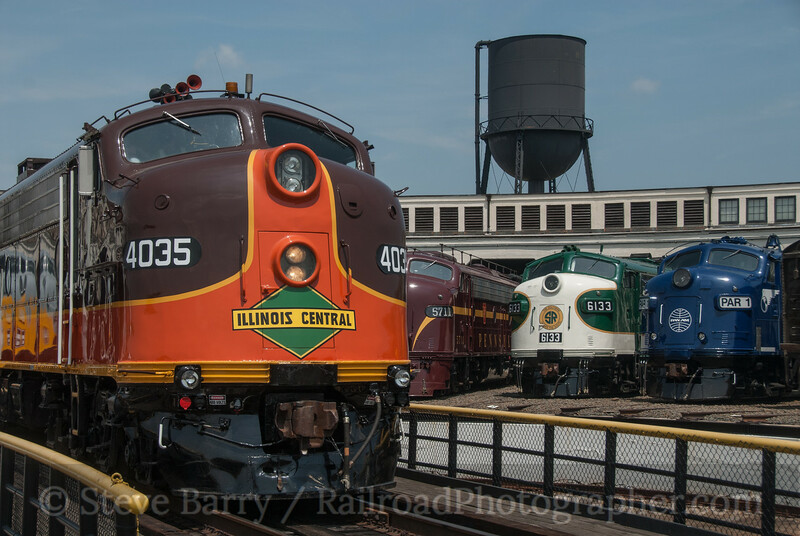 515 was briefly disguised as Illinois Central No. 4035 on the first day (below). 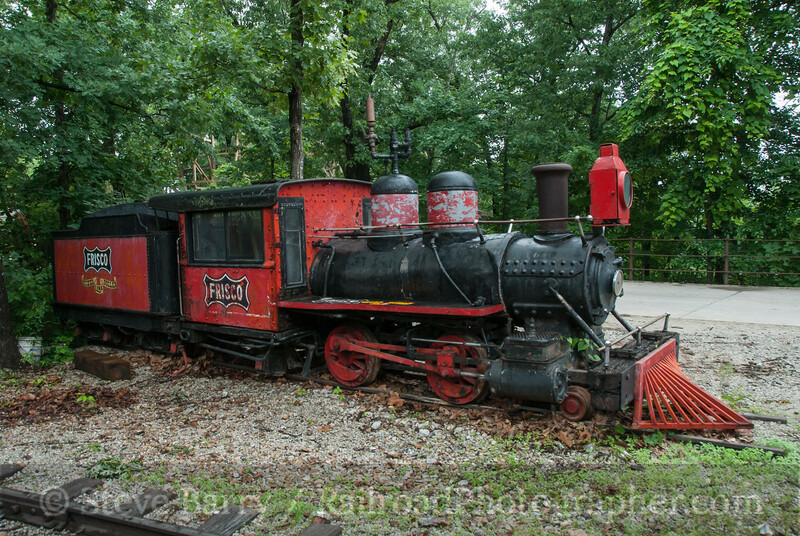 Also in attendance was Norfolk & Western 4-8-4 No. 611, a streamlined steam locomotive. 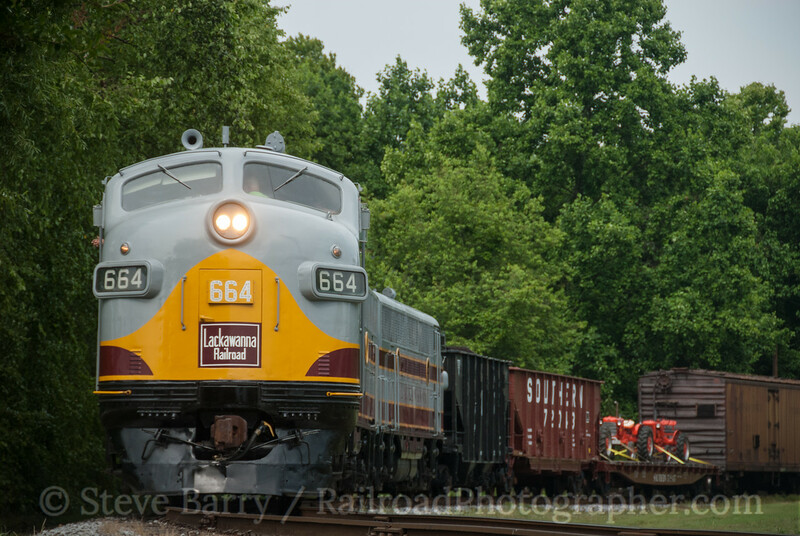 The J-Class locomotive had just arrived in Spencer where it will be restored to operation as part of the "Fire Up 611" campaign. It was given the position of honor on the turntable for the first night photo session. 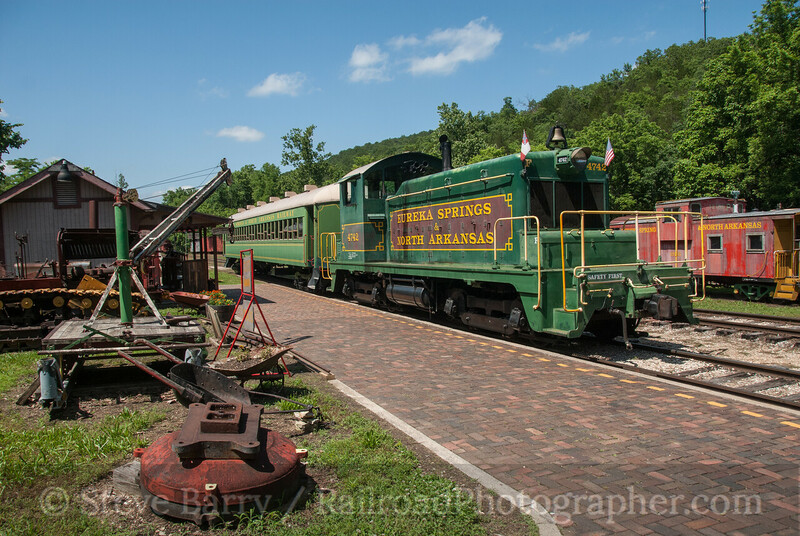 Highlighting the second day was a freight train powered by an A-B-A set of F3 locomotives representing the Delaware, Lackawanna & Western. 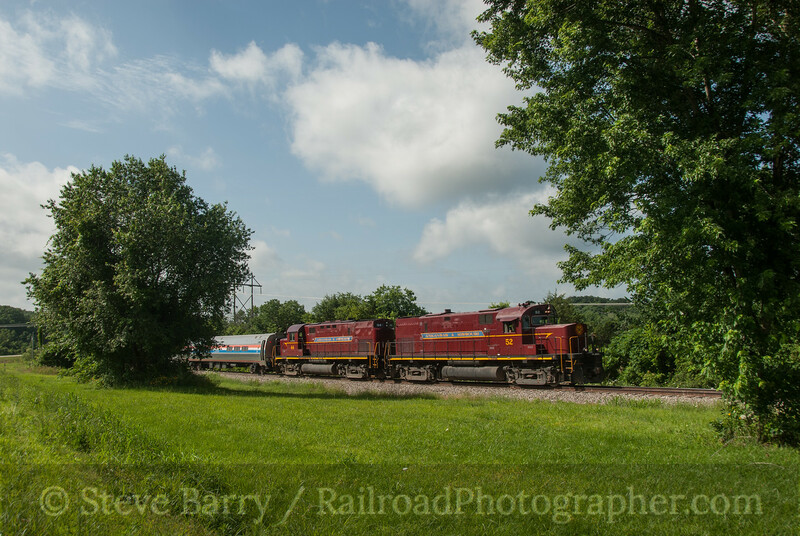 The two A units came from the Bangor & Aroostook, while the B unit is a converted F7B from the Boston & Maine. 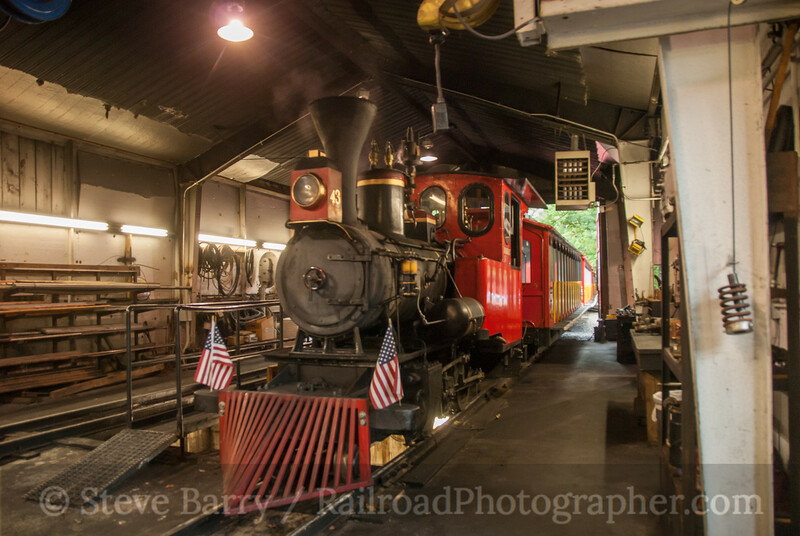 One A unit is owned by the Tri-State Chapter of the National Railway Historical Society, while the other A and the B come from the Anthracite Railroads Historical Society. 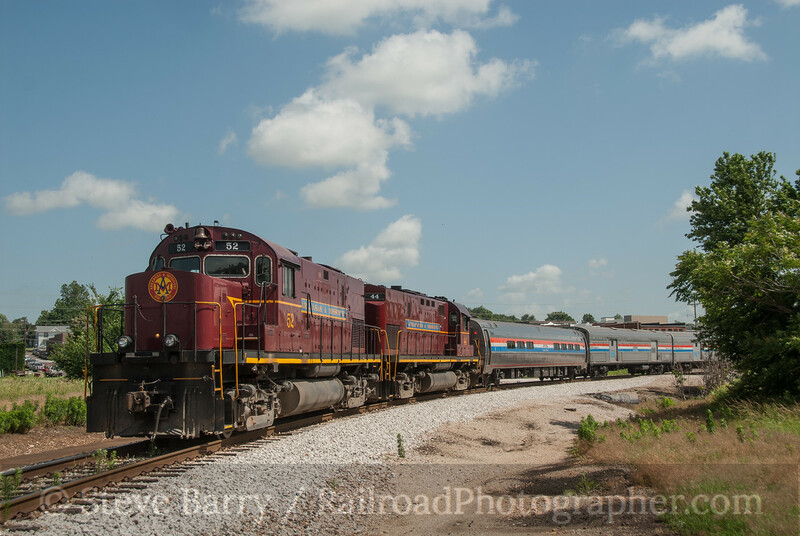 The F3s were the oldest operating units at Spencer. 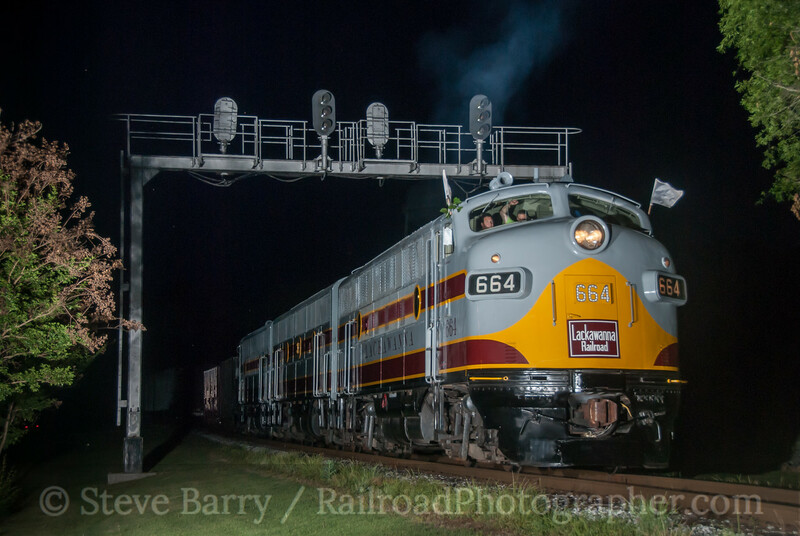 The three-unit set was used for the night photo session, and made a fine sight as they passed under the museum's restored signal bridge. 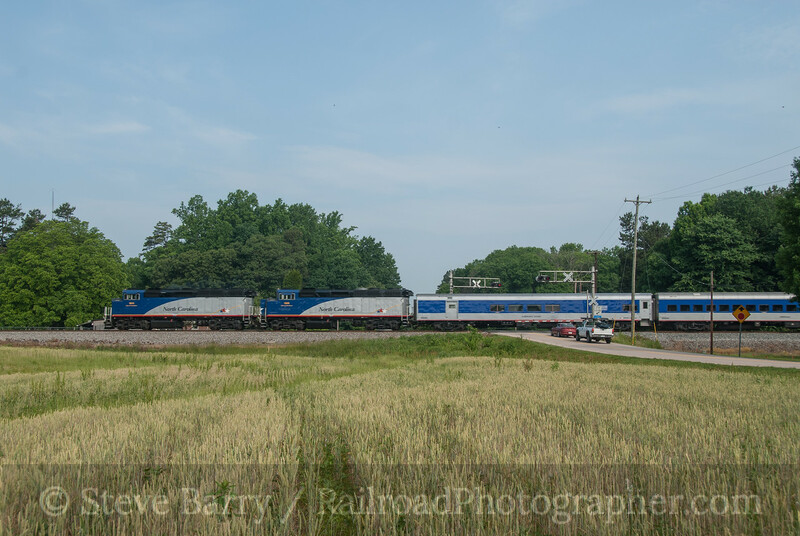 Also a part of the night photo session was a multi-unit set-up in the field south of the roundhouse, highlighted by "Baltimore & Ohio" F7 No. 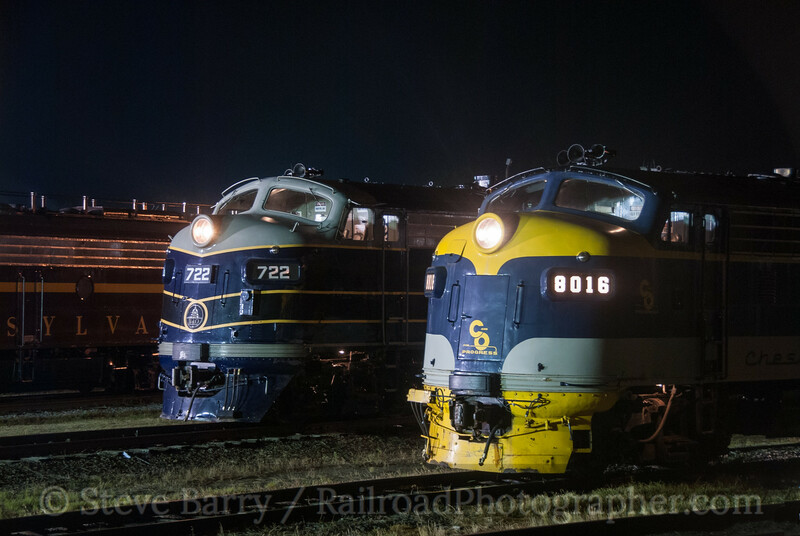 722 (former Bessemer & Lake Erie) and "Chesapeake & Ohio" F3 No. 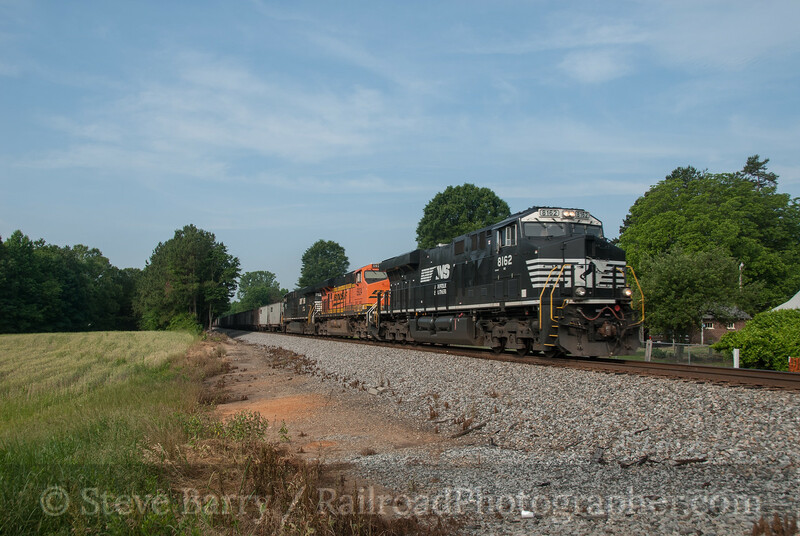 8016 (former Clinchfield). 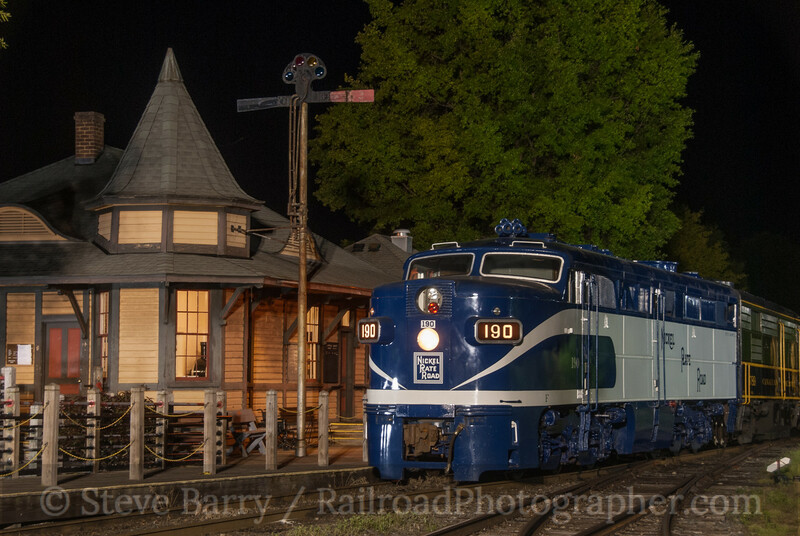 Both are now owned by the Potomac Eagle Scenic in West Virginia. Day Three found Canadian National FPA4 No. 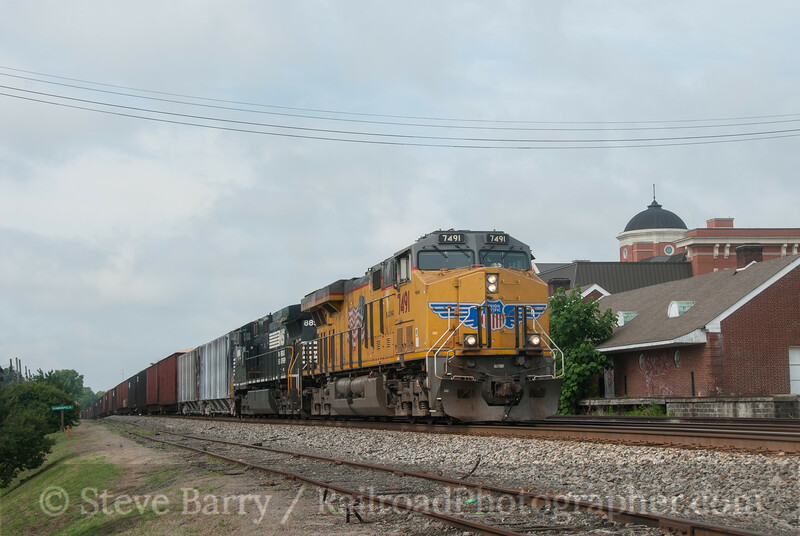 6789 on the photo freight. 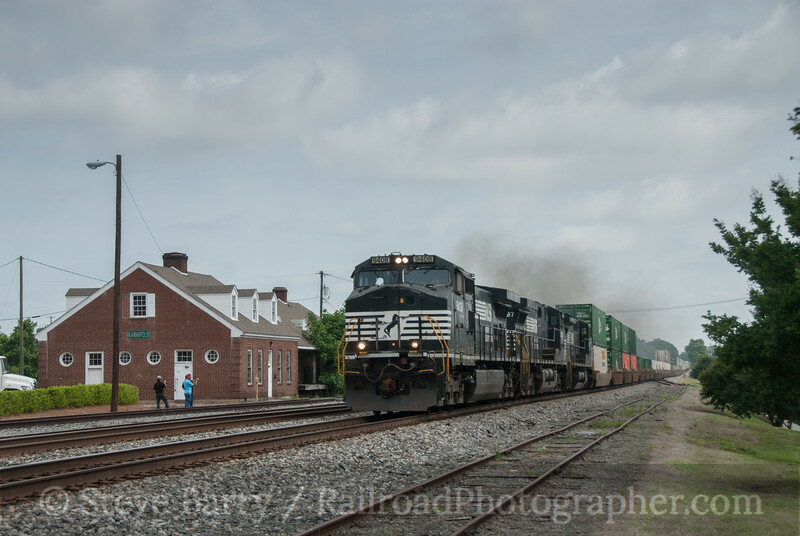 Like all the other locomotives in attendance, movement to Spencer was provided free of charge by Norfolk Southern. No. 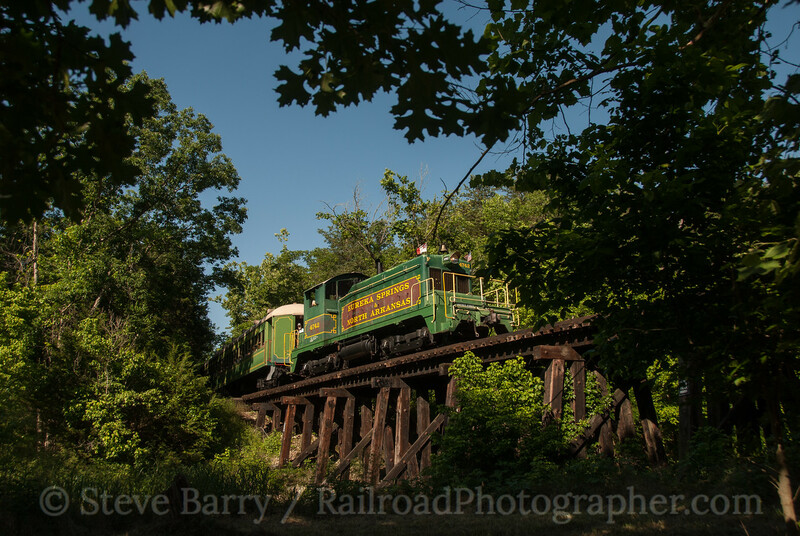 6789 came from the Monticello Railway Museum in Illinois. 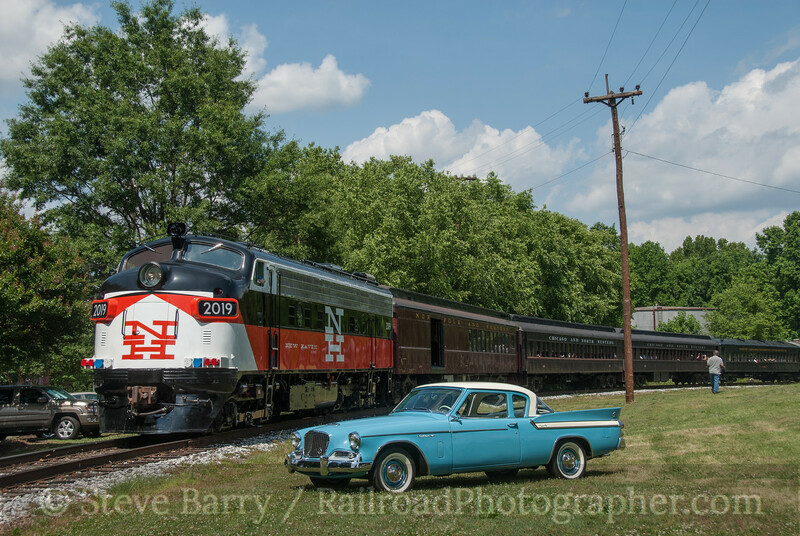 An antique car show was part of the festivities at Spencer, and the car owners didn't need much encouragement to bring a car over to pose with the trains. New Haven FL9 No. 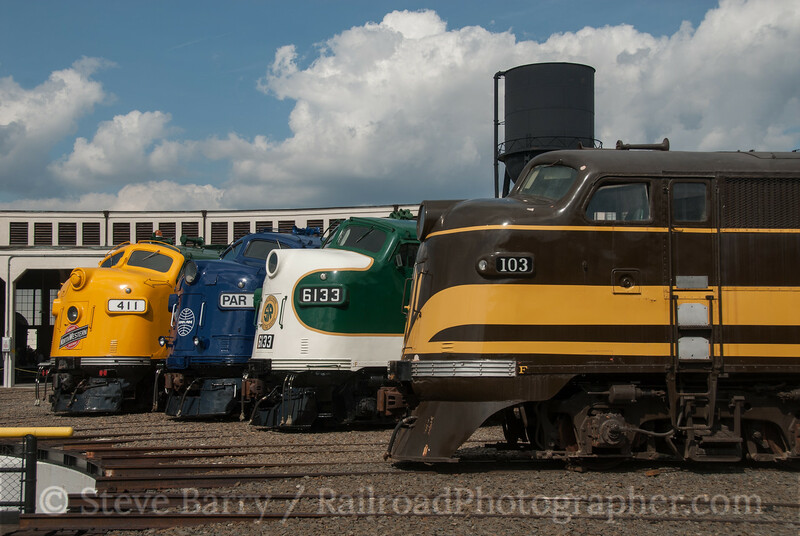 2019 from the Railroad Museum of New England in Thomaston, Conn., passed at Studebaker. Both were built in the same year -- 1960. 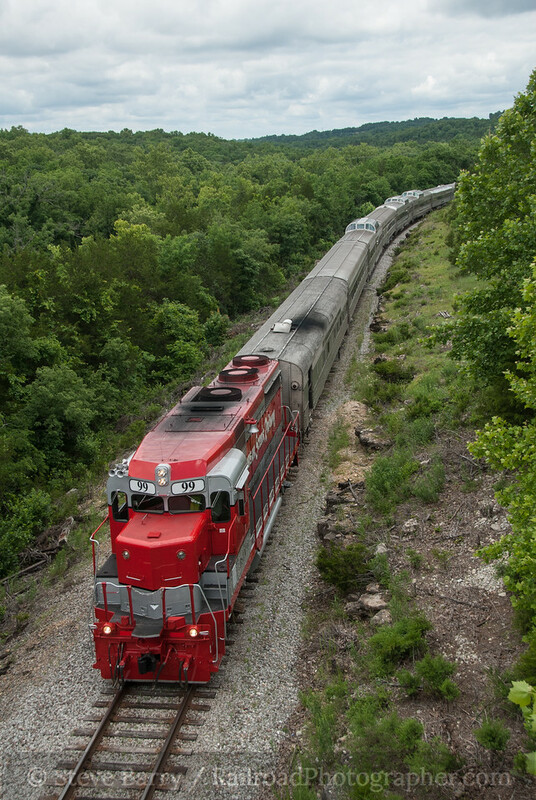 Locomotives came from all across the country and from not only museums but also Class I railroads. 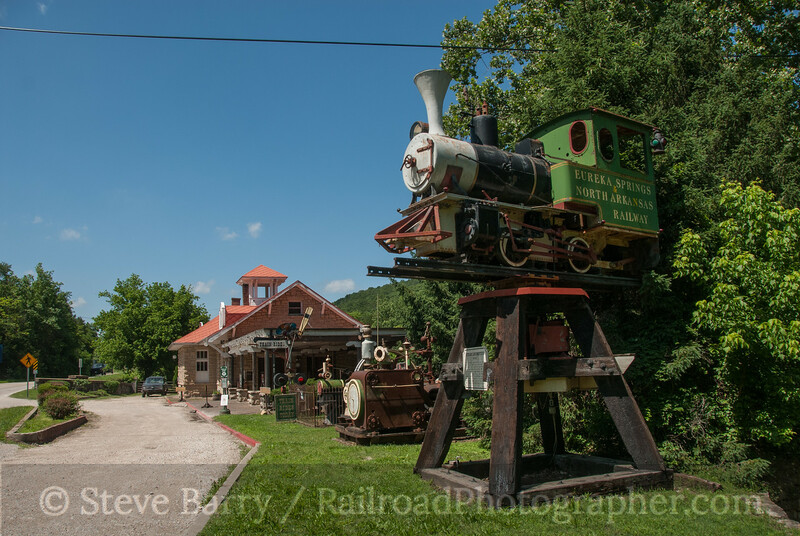 The roundhouse tracks included privately-owned "Nickel Plate Road" (former Santa Fe) No. 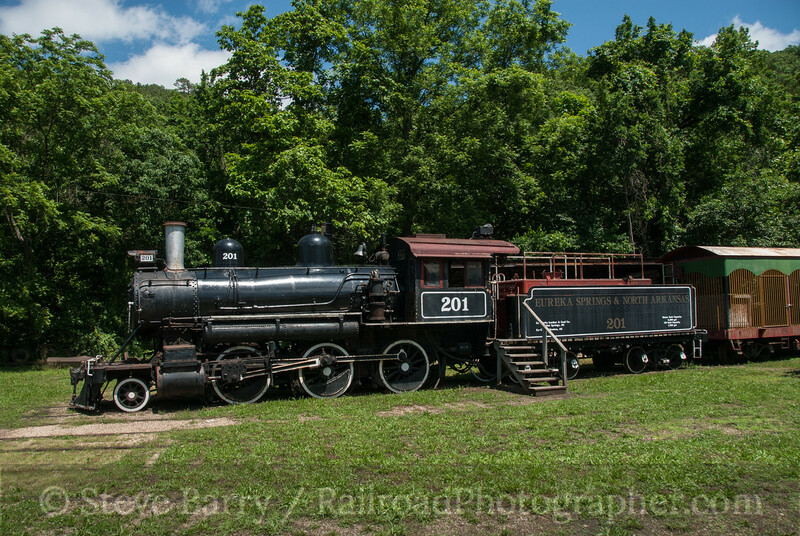 190 from Portland, Ore., Southern Railway No. 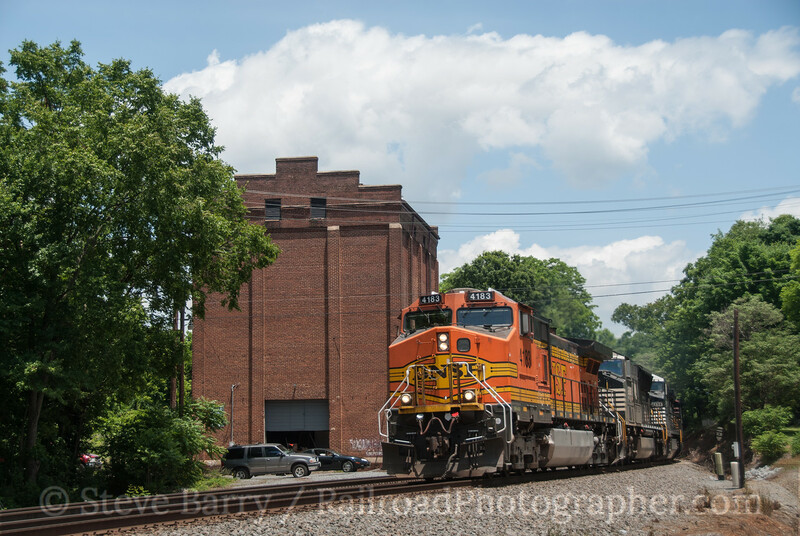 6900 (which lives at Spencer), Erie No. 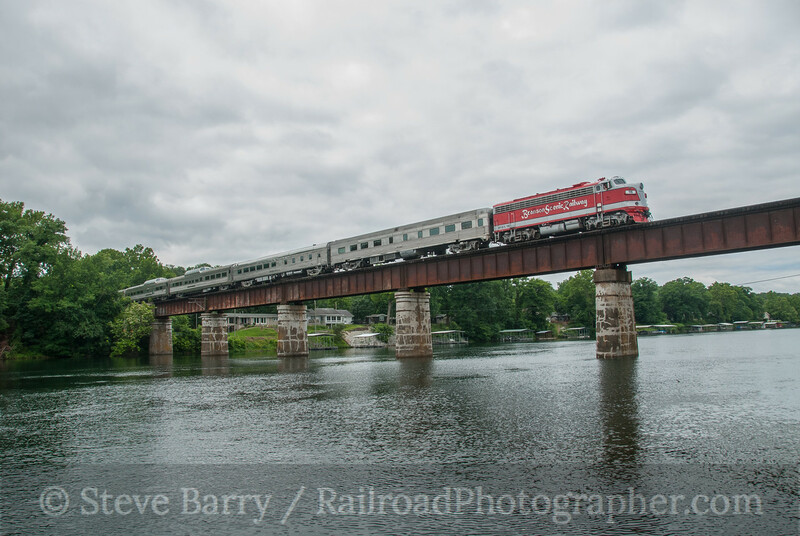 833 from the New York & Greenwood Lake in Port Jervis, N.Y., Union Pacific No. 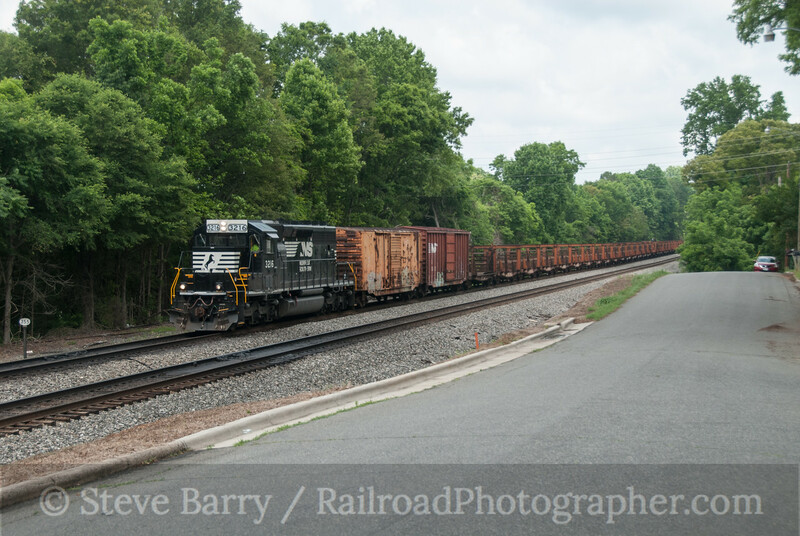 949 which is used by UP on its business trains and Norfolk Southern F9 No. 4271 which is used in business train service for NS. 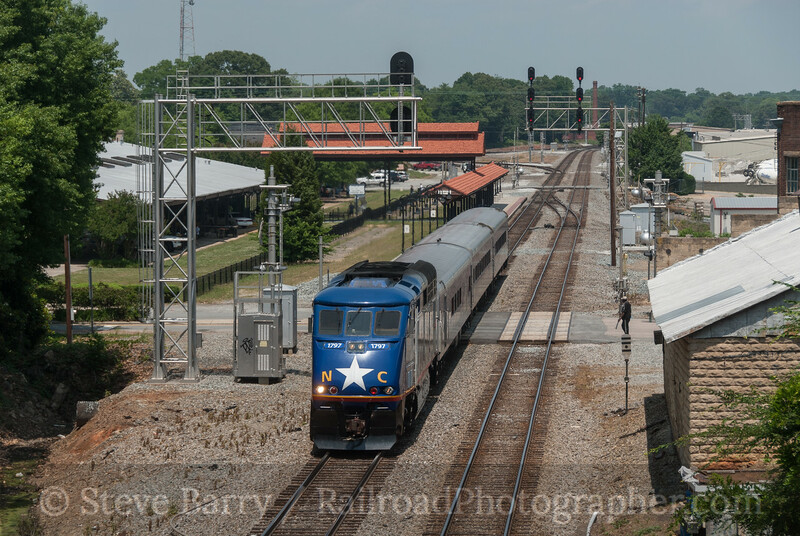 In attendance was Electro-Motive Corporation (a predecessor of EMD) FT No. 103, the very first streamliner built in 1939. It shared the roundhouse tracks with Southern FP7 No. 6133 (which resides at Spencer), Pan Am business train FP9 No. 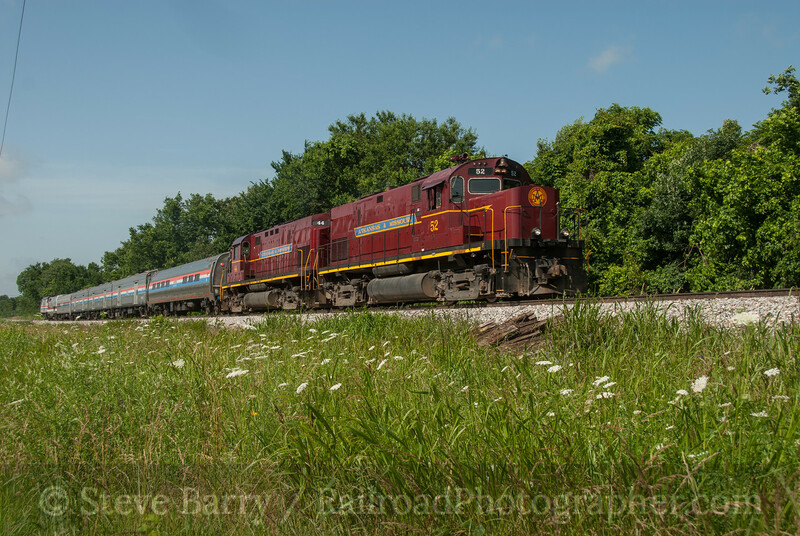 PAR-1, and Chicago & North Western F7 No. 411 from the Illinois Railway Museum in Union. Perhaps the most surprising attendee was "Nickel Plate Road" No. 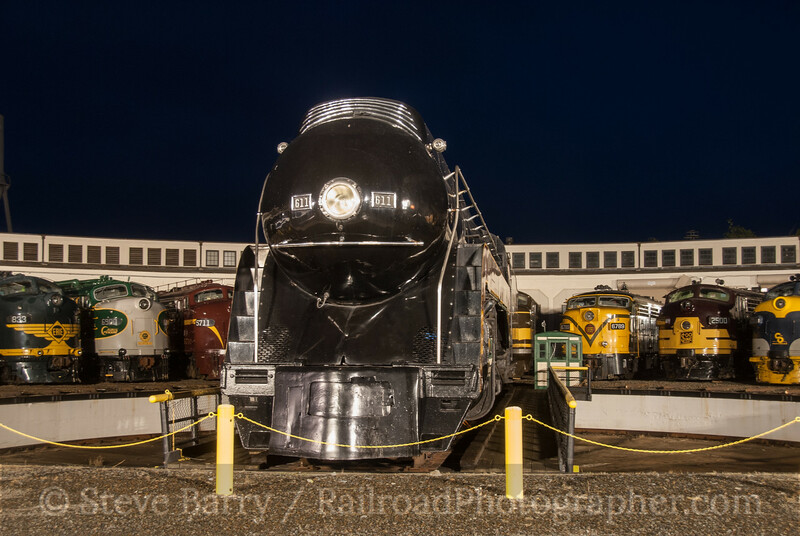 190, one of only two surviving Alco PA locomotives in the United States. 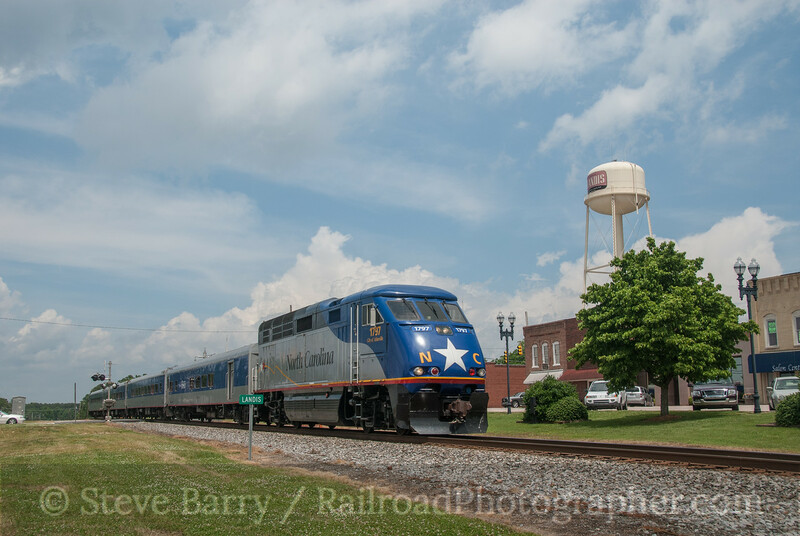 Privately owned by Doyle McCormack, the PA made a cross-country trip from Portland, Ore., (with BNSF Railway donating the move across the west) to be one of two Alcos at the Streamliner event (joining Canadian National FPA4 No. 6789 from Monticello, Ill.) No. 190 was used during the final night photo event. 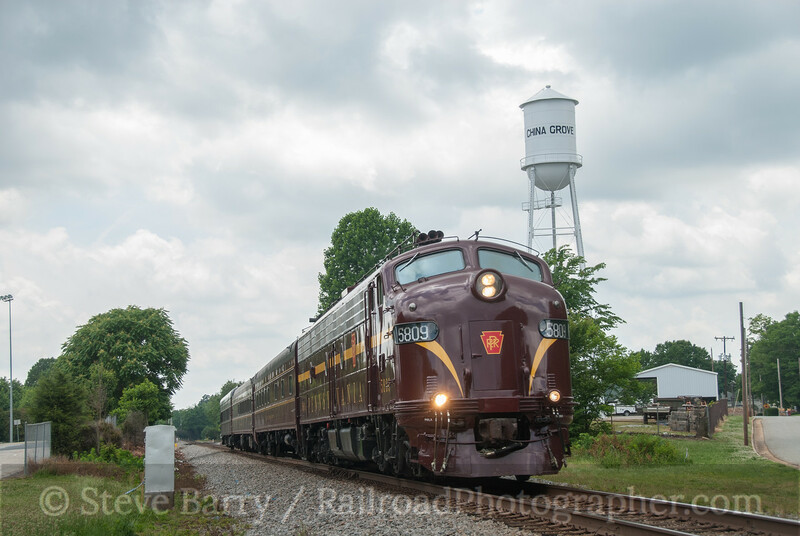 All good things must end, and Sunday, June 1, marked the end of Streamliners at Spencer. There were still a few photos to be had, however. 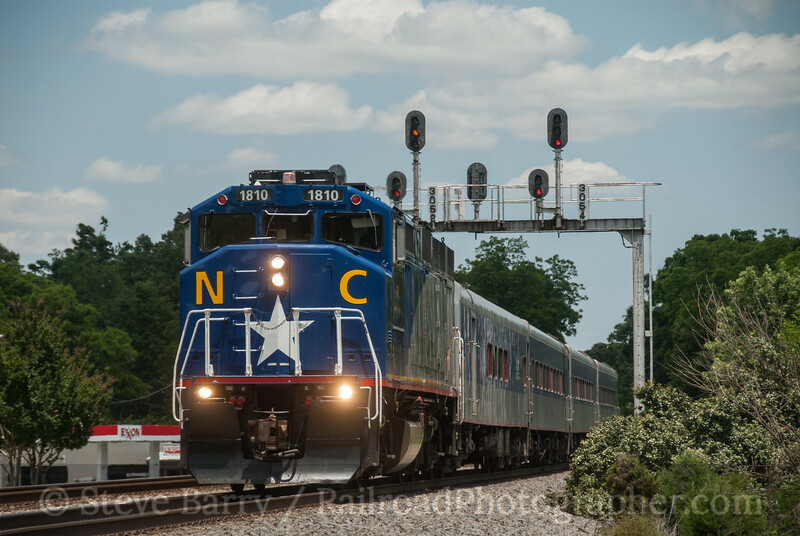 North Carolina Transportation Museum's own Atlantic Coast Line E3 No. 503 took a morning spin on the turntable. Chicago & North Western F7 No. 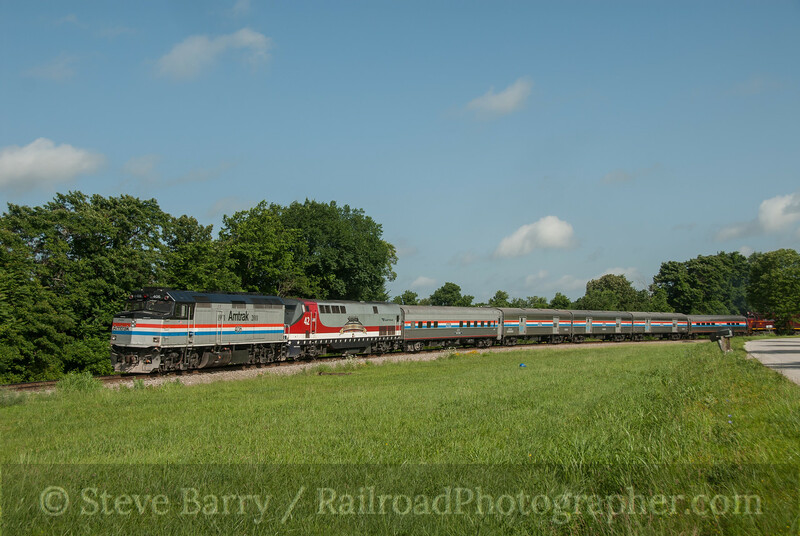 411 from the Illinois Railway Museum was making morning passenger runs. 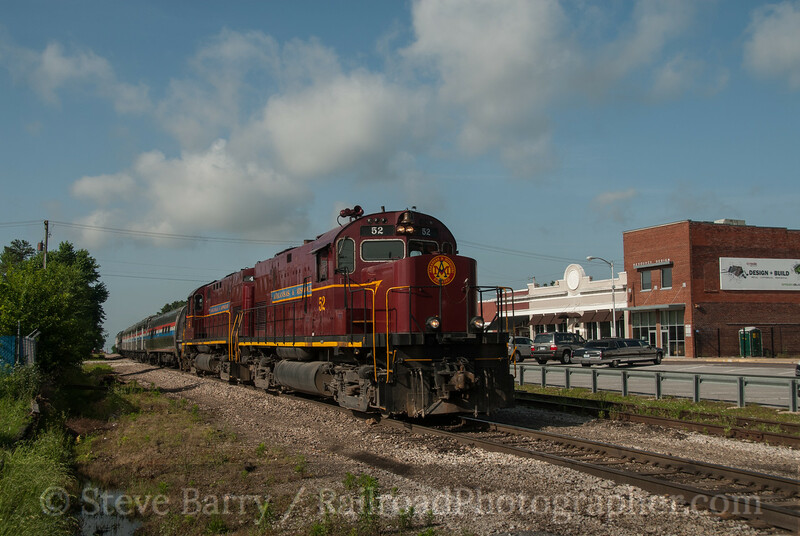 IRM also sent Chicago, Burlington & Quincy E5 No. 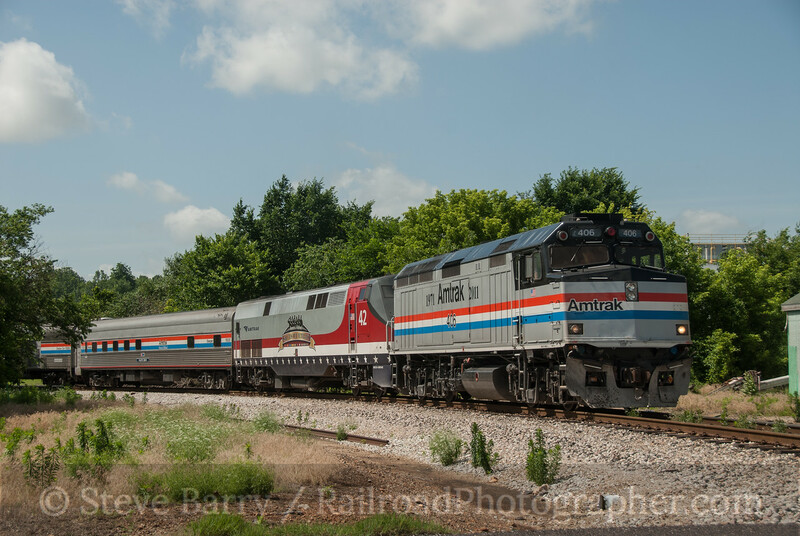 9811 to the Streamliners event. All in all, it was a well-run event. 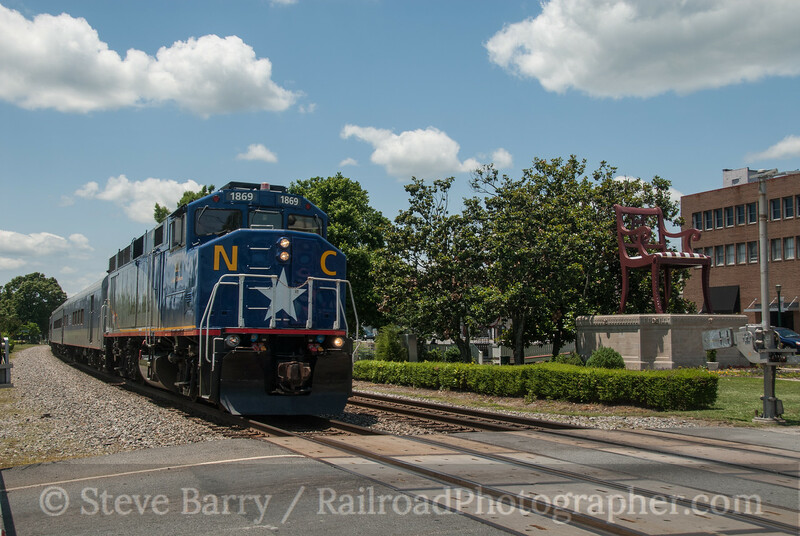 Thanks to the staff of the North Carolina Transportation Museum for all their hospitality. 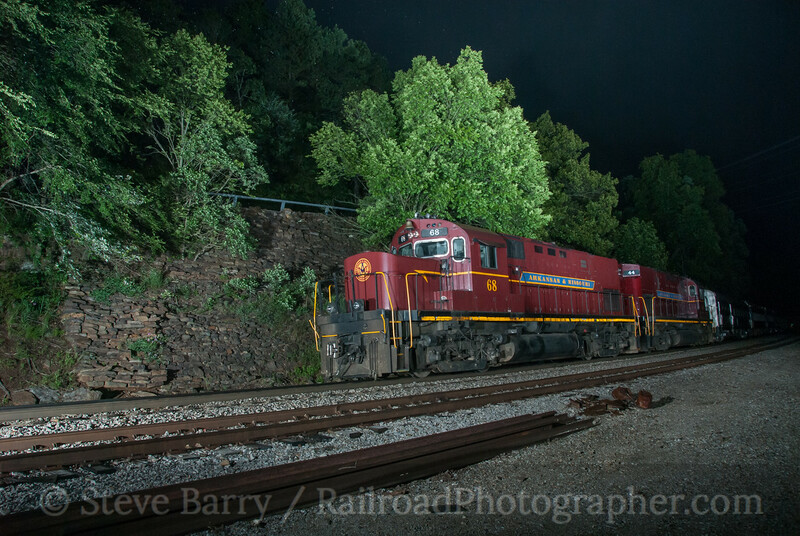 Also thanks to the Mountain State Railroad & Logging Historical Association for providing the lights at the night photo sessions. 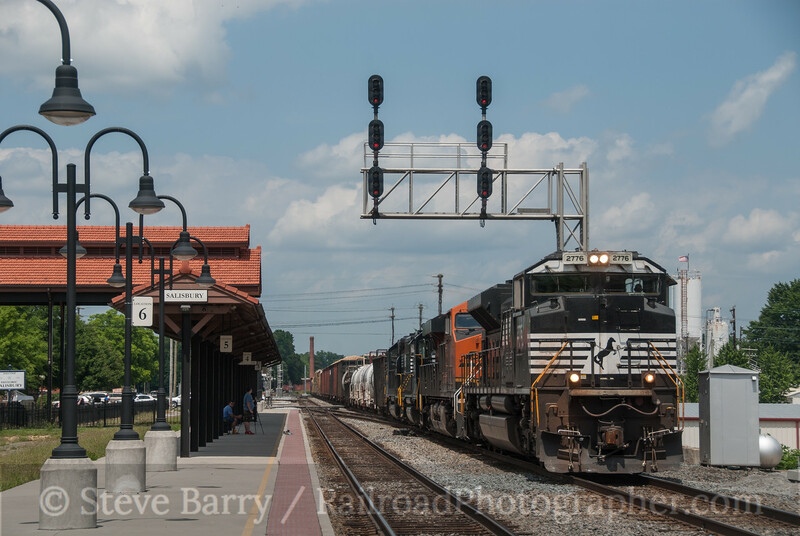 And thanks to all the railroads and museums who sent crews and equipment to Spencer. 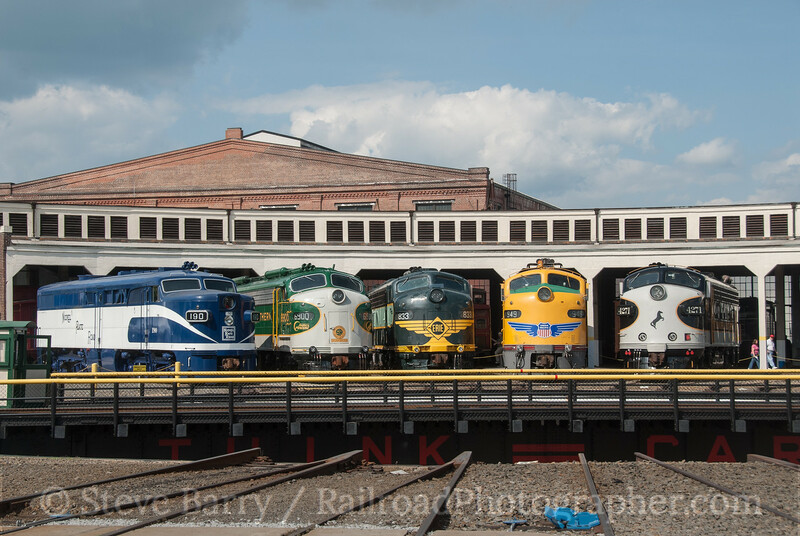 You can see more photos of Streamliners At Spencer here.